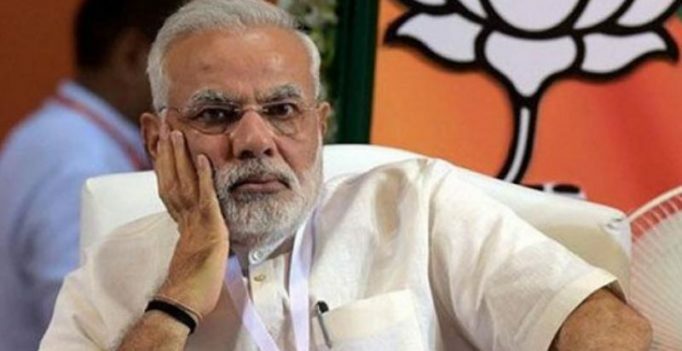 Sambhal: A BJP leader here has lodged an FIR against local Congress leader and his supporters for allegedly defacing the picture of Prime Minister Narendra Modi, police said on Wednesday. On the complaint of BJP district chief Rajesh Singhal, an FIR under sections 147 (rioting) and 295 (hurting religious sentiments) of the IPC has been lodged against Congress city unit president Tauqeer Ahmed and his 10 supporters for defacing the picture of the Prime Minister in a hoarding set up at Chandausi crossing, ASP Ram Murat Yadav said. Investigations are underway, the ASP added. Singhal said Ahmed and his supporters painted black the picture of the PM in a Finance Department hoarding, set up to inform people about black money. Opposition parties are frustrated over the popularity of the PM and his demonetisation move and are venting their ire in this manner, Singhal alleged, adding general public, however, was very happy about the decision.